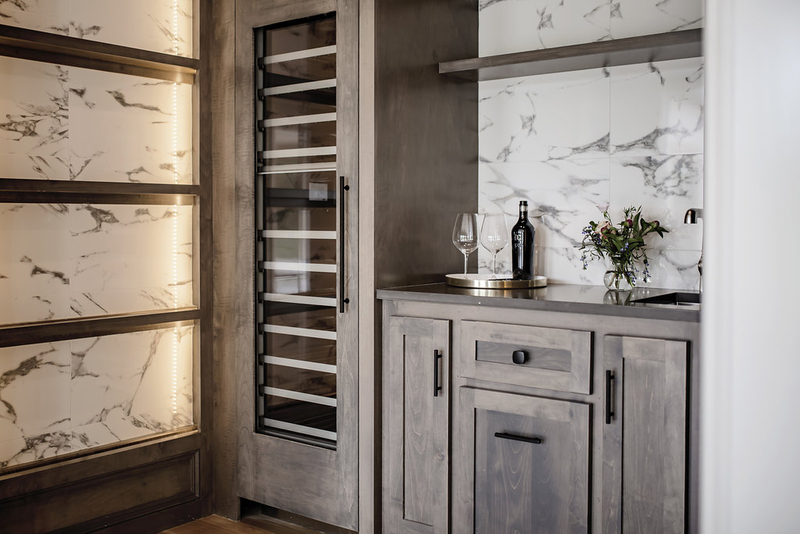 As we’ve noted before, wine rooms are a growing trend in modern custom homes. But how do you stock them? Here are some guidelines for creating a well-rounded wine collection, whether it’s for a wine room, wine cellar, or wine rack. Hopefully, these tips will result in a delicious base of reds and whites, including ideas on where to splurge and how to add some sparkle! Consider the wines that you love and you (always) want to drink. The first rule of drinking wine is simple: Enjoy! So, buy what you like—and what friends and family like—and stock up. What’s better than having your favorite brand on hand? Looking for a more specific rule? Think, 4: white, ready-to-drink red, dessert, and celebratory/prestige. If you think in terms of these 4 types of wines, each can take up about 25% of your wine room space. If that formula doesn’t feel quite right, make up your own according to your lifestyle. For more ideas of wine varieties, and ways to branch out of your usual preferences, check out Wine Enthusiast’s Top 100 Selections for 2017. Looking to invest in some bottles to store for a few years? Food & Wine Magazine suggests this list of their Top 12 Wines that Will Get Better With Age. Organize the room in a way that is convenient for you. Keep everyday wines close to reach, and prestige bottles protected and out of the way. If possible, keep the room temperature around 55 degrees. Avoid temperature fluctuation, vibrations, and humidity. This will help keep wines stable and ready to serve, free from humidity and other factors that might disrupt the quality. Generally, wine rooms, as opposed to wine cellars, are designed to store wines that are meant to be served. While wines may last quite a while in these rooms, they are not meant to be aged there. So, pick what you love and what you’d like to have on hand and to serve anytime. As you begin to furnish your wine room, you will likely discover how fun it is to accessorize! There’s a whole world out there, full of glasses, charms, and preservation/serving equipment. Not to mention the cheeses, fruits, chocolates, crackers, and gourmet meals for pairing options. Enjoy the process of setting up your wine room—and salut! Bill Roberts Custom Homes offer the fun option of a customized wine room. Other available options include multiple trending features in customized closets. Our homes are designed for life —your life—and we are happy to offer a wide variety of interior designs and amenities. Have you checked out Chisholm Creek yet? 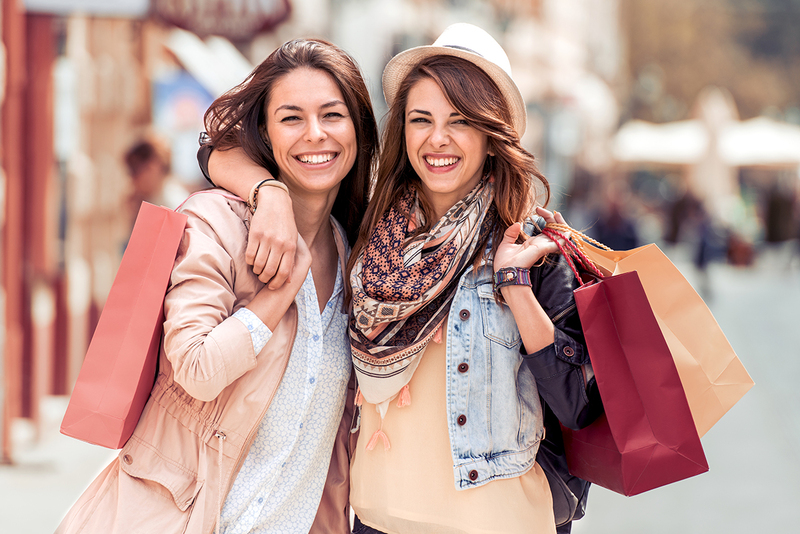 This new and exciting area has it all—shopping, dining, various local services, and entertainment. Oklahoma City’s very first “mixed-use” development, Chisholm Creek is a pedestrian-friendly space designed to combine various aspects of life into a convenient and beautiful setting. As such, it is a great place to run errands, get the kids’ wiggles out, meet up with a friend, do some shopping, practice your golf swing, and much more! Chisholm Creek is surrounded by miles of walking trails that converge upon a gorgeous waterfront. Adjacent to a spacious city park, it is the perfect place to go for a walk, or to take the kids for an afternoon. While you’re there, pamper yourself a bit at the Blo Bar, the nail salons, spas, and deluxe barber shop. Spend the afternoon exploring local and national boutiques, then drop in for happy hour. Dining options are plentiful, too! The area is perfect for meeting up with friends (or dates! ), taking the family out for a special meal, or hosting a business meeting. Chisholm Creek is nestled between corporate campuses and the best healthcare facilities in the city, reminders of Oklahoma City’s economic growth and continual development. Home to a variety of office spaces and business suites, the center offers insurance, banking, financial advising, and much more. When the work is done and you’re ready to play, head over to Top Golf and work on your swing. Or reach for the skies at IFly indoor skydiving! Oklahoma City is one of America’s fastest growing cities and Chisholm Creek is set to accommodate this exciting growth and development. As such, the area is an asset for Bill Roberts Community Homes residents, and is close to many of these communities. Stop by and see for yourself. Oh, and grab a coffee while you’re there. Or an ice cream! Or…well, you get the idea! Edmond is an exciting place to live, just a quick drive from places like Chisholm Creek. With exciting events happening in your own backyard, there is always an opportunity to try something new, meet your neighbors, and have some fun.